This was an initiative that was started by the Virgin Islands Party (VIP) while in government previously but many have seen it as fallen from glory as they feel not much has been put into sustaining and maintaining it. However according to the responsible minister of the sector the monies invested thus far on the greenhouse project by Government will not be wasted as he insisted that it has to work. 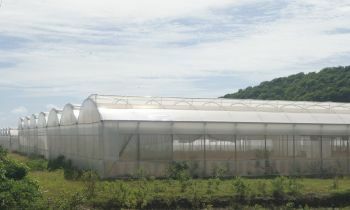 He further stated that currently the Government is seeking companies and individuals who are willing to partner with the Government and who can provide a business perspective to Government to help with one of those greenhouses. According to Hon Dr Pickering the engagement of young and other forward thinking individuals should undoubtedly assist in the development of the sector as they seek to become more efficient as a regulatory body especially as it relates to greenhouse productive. At that stage he was targeting the input of youths. He said while he understands the apprehension of some persons towards this method of agriculture production, the Ministry and Agriculture Department will ensure that proper regulatory measures are put in place to ensure that international standards are maintained. This NDP adventure has been a disaster. Eh? I thought this was the brainchild of Omar of the VIP. but we should blame the NDP for not stopping it with their two opposition members against the eleven of the VIP government. Surely they had the power to stop Omar's nonsense. Two against eleven - that's good odds! Plant some medical marijuana in them (for export only) in order to jump start the failing economy. I sugested that about five years ago and everyone tought that I was crazy! This is the result of a totally incorrect policy of the last VIP Government.